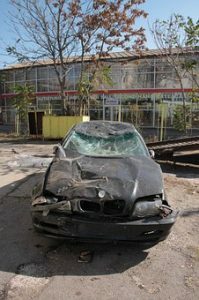 Car accidents can occur out of nowhere, and some of these accidents can have lethal consequences. Through remaining vigilant and following the rules of the road, all drivers can do their part to keep roads safe for all who use them. Reckless driving can cause severe accidents and leave victims suffering from their injuries. On May 25, Massachusetts State Police received information about a rollover crash with minor injuries. The crash is reported to have involved two-vehicles and was called into police around 6 in the morning. This incident occurred on Route 1 northbound in Lynfield at the Salem Street exit. The vehicle that caused the accident remained in the road, and the right lane was closed as emergency responders directed traffic around the area. Within the hour, all lanes were reopened. The extent of the injuries is still being determined, but no fatalities were reported. Some car accidents can have dire consequences. While luckily many car accidents do not result in life-altering injuries, the ones that do can be devastating. We strongly urge each driver to remain vigilant while behind the wheel and remember that negligent driving can have potentially fatal impacts. These accidents can leave victims dealing with detrimental injuries. At the Law Offices of Jeffrey S. Glassman, we are aware of how serious car accidents can be as we often see the results of these tragedies. As concerned members of our community, we want all drivers to remember to follow the rules of the road and drive safely. We are also aware that accidents can happen even when driver are being careful, so we are dedicated to helping victims receive the assistance they need to recover.